On the 24th May 2014 the BYSA did a corporate day out for its volunteers and sponsors also in attendance were the BYSA Saturday and Sunday league teams which took part in the event starting with the two teams that were members of the BYSA and now playing at league level so it started off by a 60 minutes match on the pitch at the brittania stadium referees and lines man provided by stoke city fc the match finished 9 – 2 and was enjoyed by all and the experience of playing on a professional premiership pitch. 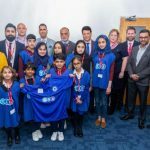 Followed by the BYSA volunteers who have been apart of the academy since 2002 teamed up and took on the sponsors in a 60 minute match which resulted in a 3 – 1 win for the sponsors, thereafter lunch was provided in the directors suite and a presentation by the chairman Zaheer Afzal giving the winners medals and awarding our sponsors with the world cup trophies for their help and support. 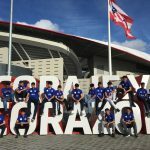 The corporate people in attendance were K Legal solicitors, Price waterhouse coopers (PWC), Barclays, Jaguar Land Rover (JLR), Darlaston Tax Shop, Kingsland recovery, awan international, st philips chambers, venture capital and No5 chambers were thanked and awarded for the day out at stoke city fc. The BYSA volunteers were rewarded and thanked for the hard work done within the BYSA by the chairman Zaheer Afzal and stated they all should be recognized and proud of the work they have done over the years: Iqbal Khattak, Rab Khan, Hazrat Islam, Riaz ul haq khan, Omar quelch, Mohammed Daddaboy, Zaheer Afzal, Imtiaz ali shah, Makmoor khan, Bakthyar hussain, Ramadan Peart, Masood khan, Waheed Ayub and Anwar khattak. 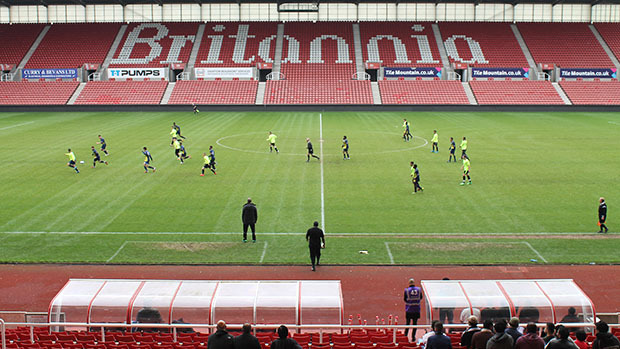 On the 27th and 28th May 2014 stoke city FC held a tournament for a number of age groups ranging from age 8 to 16, the BYSA took advantage of this opportunity as the tournament was held on the main pitch at the stadium of light the BYSA entered 4 teams which were picked by their coaches who had spent time in training them to experience this wonderful opportunity at a premiership club the ages picked were the following: under 10’s, under 11’s, under 12’s and under 14’s there were 10 players selected for each squad a 7 aside tournament which resulted in the BYSA playing well but did not win the tournament but very much enjoyed and took on the comments and the experience. 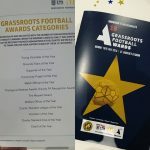 The BYSA coaches were so proud of their players rewarded them with trophies and good feedback so the kids can try harder and set targets and goals for the future as the BYSA promotes sports and education. 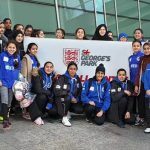 The coaches Omar qulech, Riaz ul-haq-khan and Bakthyar Hussain who managed the teams were happy with the performance and enjoyed watching the kids have a good time and are working on making links to have more tournaments and getting other age groups within the BYSA to play league level football this is a 2014/2015 aim for the BYSA. A big thank you to Jemma, Julie and Johnathan who are the organizers at stoke city FC the day would not have been a success without them so thank you and we wish to do more in the near future with the club and be apart of all their future tournaments as the tournament had a high demand of good teams and players across the country in attendance to win the tournament. 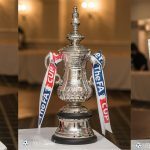 TThe BYSA would like anyone and everyone to get involved within the volunteer side of things or the funding and support so it can grow to the next level and welcomes all corporate companies to get in contact with Mr Khattak on 07890695284 or email: khattak_01@hotmail.com and he will provide you with any information you require or pop down every saturday morning to small heath leisure centre 10.30am to 12.30pm.